This is the 19th Annual New York Venture Summit. We understand how important it is to meet the right people and network with like-minded individuals. 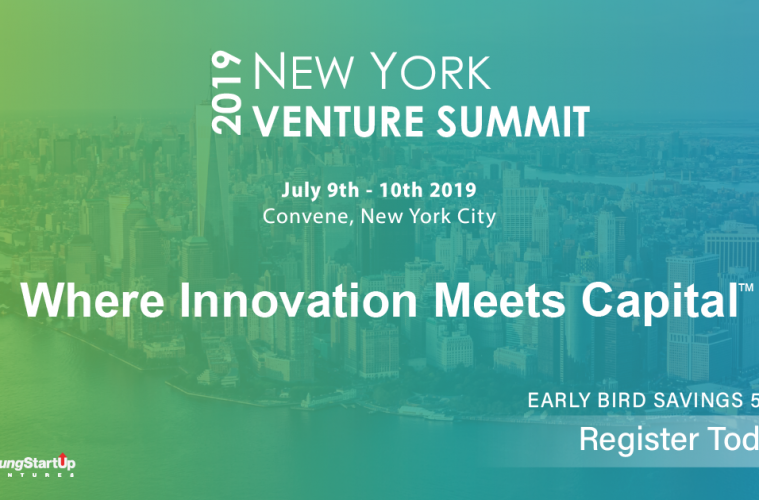 The New York Venture Summit connects the most innovative, promising venture backed, emerging growth and early stage companies with active Investors, Investment bankers, advisors and corporate professionals. This year people can look forward to over 150VCs and over 100 Top Innovators. Startups will hugely benefit from the high-level networking with Angels and early stage VCs as well as the opportunity to find prestigious VCs to join their advisory board. There were over 1,000 participants last year. A select group of more than 100 Top Innovators from the Technology, CleanTech, Life Sciences/Healthcare and FinTech sectors will be chosen to present their breakthrough investment opportunities to an exclusive audience of Venture Capitalists, Private Investors, Investment Bankers, Corporate Investors, and Strategic Partners. Nick Adams, Managing Partner & Co-Founder, Differential Ventures | Martina Aufiero, Senior Vice President & Managing Director, Safeguard Scientifics | Mark Austin, Partner, Bright Capital | Amit Bansal, Principal, Digitalis Ventures | Peter Bastien, Principal, Next47 | Margaret Wu, Senior Associate, Georgian Partners | Anthony Xu, Partner, New Ground Ventures | Holly Zimmerman, Managing Director, Golden Seeds and many more. The most successful startups are clear about what they are looking for, where they can get it and who can get them there. Registration is via our website http://bit.ly/2HtQx2g . NYVS18 sold out a week before registration closed. Irish Tech News network can take advantage of the dedicated discount code ITNVIP which entitles them to an additional 10% off the Early bird rates which are 50% reduced. Register early to lock in the lowest possible rates.